As the holiday approaches we would like to take this opportunity to inform valued clients and potential new clients of our Christmas opening hours - we will be closed from 2pm on Friday 21st December until 9am on Wednesday 3rd January. However, there will be an emergency contact number on our answering machine. Instead of Christmas Cards this year, Raeside Chisholm will be making a donation to the Clutha Trust. 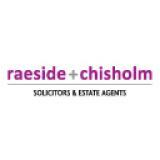 We wish you all a very Merry Christmas, and a happy new year, when it comes from all of us here at Raeside + Chisholm.